SYNOPSIS: In the near future, a group of international astronauts on a space station are working to solve a massive energy crisis on Earth. The experimental technology aboard the station has an unexpected result, leaving the team isolated and fighting for their survival. By now, you’ve probably held of Netflix’s surprise release of ‘The Cloverfield Paradox’ right after airing its trailer on Super Bowl night. At first glance, the unprecedented move seems right in line with how its producer J.J. Abrams and Paramount Pictures had birthed the franchise so far – the first one released back in 2008 lured audiences into the cinema under a shroud of mystery, and revealed itself to be a found-footage Manhattan monster movie; and the second one eight years later was only unveiled very close to its release date, conceived as it was as a standalone captivity thriller before being reverse-engineered into the ‘Cloverfield’ universe. Like its predecessor, this space thriller was not initially intended to be a third chapter, though its connection back to the earlier two films is flimsy and leaves much to be desired. First entitled ‘God Particle’, the original Oren Uziel script imagined a world where the Earth is facing a massive energy crisis, prompting a mission in space to test out a particle accelerator that could be the very solution. Not surprisingly, things go extremely awry at some point, creating the titular paradox, which in its most intelligible form has something to do with particles across two dimensions interacting with each other and creating chaos as both seek to occupy the same space. Not to worry if you didn’t understand that – after all, it seems that neither Uziel and his co-writer Doug Jung or director Julius Onah do have a coherent idea what that really means too, which explains why their film ends up being a mish-mash of other sci-fi classics like ‘Alien’, ‘Interstellar’, ‘Event Horizon’ and ‘Sunshine’. Indeed, using the excuse of the so-called titular paradox, their film throws together equipment malfunctions, untrustworthy shipmates, weird noises coming from the ship’s halls, appendages having a life of their own and even ‘Alien’s’ iconic ‘chestbuster’ moment. Oh yes, it’s a hodgepodge of whatever, and so aptly summed up by one of the characters who says of their situation, “logic doesn’t apply anymore”. Trying to help us make sense of it all is the crew of the Cloverfield Space Station led by Commander Kiel (David Oyelowo) and including the German scientist Schmidt (Daniel Bruhl) and his Chinese girlfriend Tam (Zhang Ziyi), Russian engineer Volkov (Aksel Hennie), mechanics Mundy (Chris O’Dowd) and Monk (John Ortiz), and last but not least, the British astronaut Ava (Gugu Mbatha-Raw) as well as her apparent alter-ego Jensen (Elizabeth Debecki). These characters are however less important for the roles they play on board the Station than as archetypes in the narrative – Kiel is the unequivocal leader; Schmidt and Volkov are the ones who supply the obligatory character tensions; Mundy is the comic relief; Monk is their God-fearing conscience; Jensen is the mysterious stowaway from another dimension; and Ava is the one we are supposed to root for. Except for Ava though – whom we learn had left her loving husband Michael (Roger Davies) behind on Earth, and that both of them remain haunted by the death of their two children – none of the other characters are given any kind of backstory. Just so the proceedings can be tied back to what had happened on Earth in the previous two movies, we get the occasional sequence with Michael that shows how the paradox is also wrecking havoc on Earth. And without giving anything away, let’s just say the ending tries to emphasise that connection even more plainly, although more critical viewers will probably question just how that interruption in the space-time continuum leads to monsters on Earth. But really, trying to make sense of what happens in ‘The Cloverfield Paradox’ will prove more frustrating than exciting. While praising Netflix’s deft release strategy, critics have also panned the movie itself, and mostly agreed that the movie would have been a bomb had it been released widely in theatres as was originally planned. That it isn’t great is certainly true, but Onah moves along the rickety proceedings with just enough propulsion so that less demanding viewers can simply go along for the ride. It doesn’t hurt too that there is enough dry humour courtesy of O’Dowd to distract you from the logic issues. 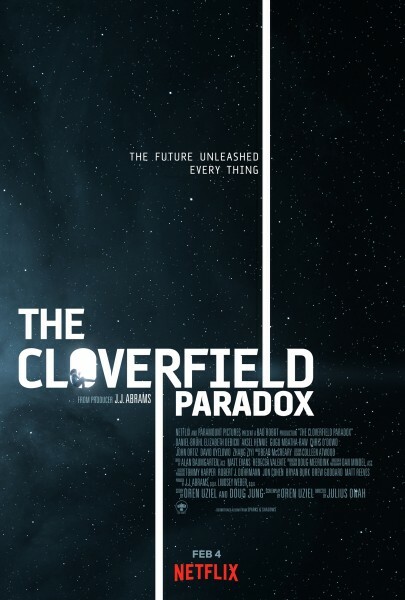 Much has been said of Abrams’ ‘mystery box’, but this third movie to bear the ‘Cloverfield’ brand makes you wonder if it ultimately is all tease and no substance.